Direct deposit. Automatic tax filings and payments. Essential payroll data at your fingertips. You get all that and more with the PRO WORK online payroll system…all in one intuitive, easy-to-use package. There’s no software to download or upgrade—all you need is an Internet connection. And with PRO WORK, you’ll get more than just the system. You’ll have personalized service from a dedicated, client-assigned payroll specialist. Payroll wizard easily walks you through a simple step­ by­ step process to quickly and accurately submit your payroll. Within minutes of submitting your payroll, you’ll receive an email notification that your payroll has been processed. This email contains a PDF document which can be printed directly onto your blank check stock. There’s no more waiting for carriers to deliver checks, or having to write out checks by hand. We offer digital check signing. Convenient for employers and employees alike, this option lets you pay your employees quickly and securely via direct deposit to their bank accounts and/or pay cards. Employees can even divide their earnings between two or more different bank accounts (such as checking and savings). No need to generate paper checks, no lost or stolen checks, no extra trips to the bank or check cashing fees. Don’t risk penalties due to late tax payments or deposit mistakes. Let us handle your required tax payments and filings automatically. The E-Verify Program by the U.S. Department of Homeland Security is a Web-based system that helps businesses determine the eligibility of their new employees to legally work in the United States. Usage is mandatory in a number of states. This add-on product allows for integration with the E-Verify Program. You can access it directly from the Workforce Management platform, saving valuable time and effort. Our built-in geographical tax system recognizes the applicable tax rates of different ZIP codes and automatically applies them to employees. The system also accounts for differing work and home ZIP codes. For example, if your office is located in a city with an income tax that only applies to city residents, the system will automatically check employee addresses and only apply the tax when the employee also lives there. If you have employees who cross state lines frequently, you can associate departments to specific States/Cities and the system will do the tax calculation automatically. Our system can produce third party checks for health deductions, 401k or child support. No more manually configuring the amounts! If your state accepts electronic payments, you can even send child support payments directly, so there’s no worry about late payment penalties or lost checks. Vendor payments can be quickly and accurately processed with our system. We can set up any vendor for direct electronic payment, as long as they accept ACH credit payments. Instantly import register information into your general ledger after each payroll processing period. All you have to do is download the general ledger import file that’s compatible with your accounting software. Is your accounting software not on the list? No sweat. We also have a generic GL export that can be used with any accounting software that accepts Excel imports. We’ll help you customize it. Choose from a wide range of export options including CSV, Excel, Text, PDF, HTML, and XML. Looking up PTO balances for employees takes time and interrupts workflow. Our accrual management system keeps track of accruals such as vacation and sick pay, based on the policies you determine. You can even have the balance included on employees’ paystubs, so they always know where they stand. Our system can track employee benefits like health insurance, retirement contributions, dental plans, and supplemental insurance. 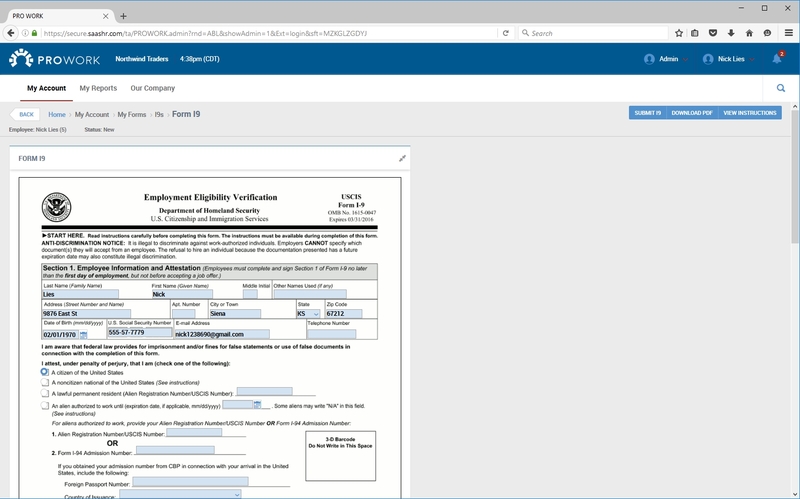 You can even list company-paid benefits on your paystubs, so employees see directly what they receive in addition to their regular pay. 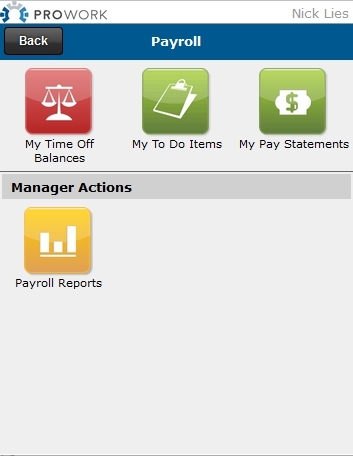 Employees can access their payroll information anytime, anywhere with our mobile app. All they need is an iPhone or Android device to instantly view paystubs, earnings, deductions and more. Get valuable payroll data delivered right to your inbox. Each pay period, comprehensive payroll reports are emailed the recipients of your choice. 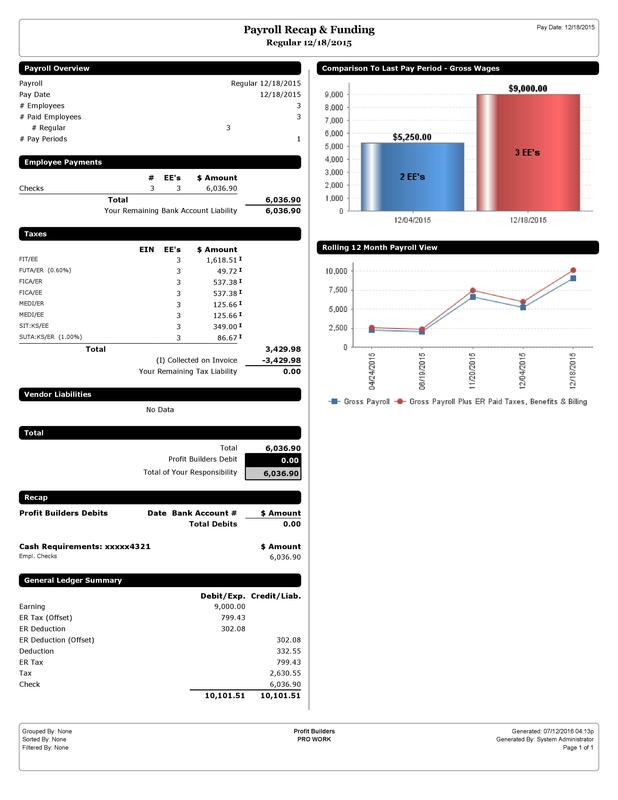 Choose from a variety of standard reports, or use our custom tool to create reports that exactly fit your needs. You can even customize reports for each recipient, such as an in-depth report for your accountant, and a summary for the CEO. Send automated email reports to your designated accountant at the end of each payroll processing period. Or, we can set up an accountant login for you to give them direct access. Keep important documents visible, easily accessible and top-of-mind by attaching them to employee files or even specific payroll functions. For example, if you must garnish an employee’s wages, attaching the garnishment order will serve as a reminder and provide details when needed. Most states require employers to report new hires within 20 days of initial employment, or else they could face penalties. Our system eliminates this time-consuming task and the stress that goes with it. 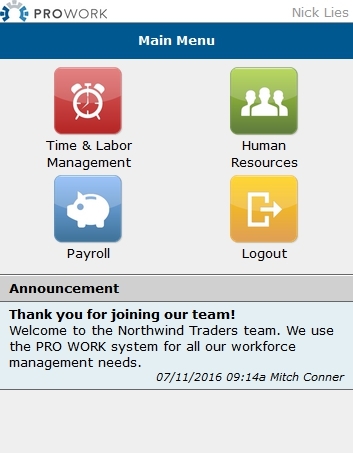 When you enter new employees in the system, we’ll automatically file the required information with the state. No muss, no fuss. Stay in the know and keep on top of important tasks with over 50 available notifications. Alerts and wage thresholds can be set by administrators to prevent potential discrepancies. Our email notification system is easy to set up and manage, so you’ll receive only the alerts you want, and won’t be bothered with ones you don’t. Employees receive notification when payroll is processed, so they can review their pay stubs. Easily access your pay statements anytime using the available iOS and Android apps. 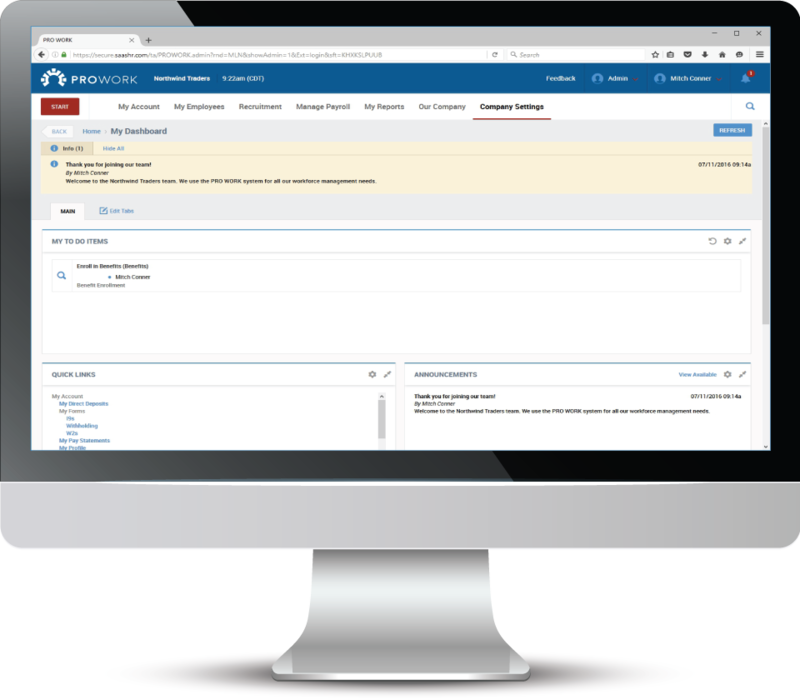 For owners: Each payroll you receive the Payroll Recap and Funding report to know exactly how the current payroll is impacting your business. 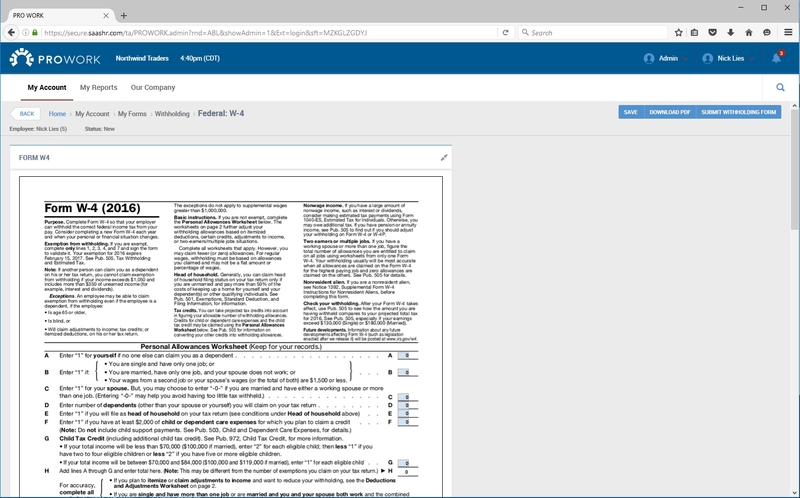 I9 Forms are easily submitted and digitally signed. 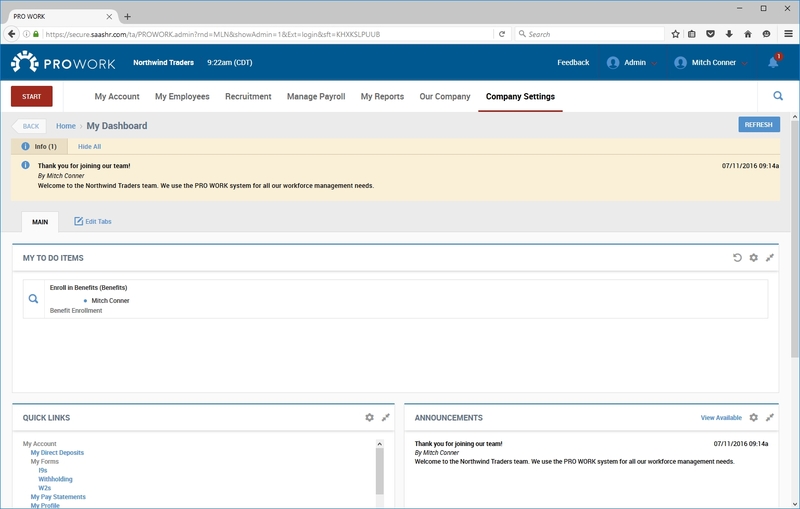 All employees have access to his or her vacation balances at any time right from within their PRO WORK profile.